The now ubiquitous and popular concept of the zombie (first spelled “zombi”) originated in the fusion of African folklore with the particularly brutal form of slavery practiced in French-ruled Haiti (then called Saint-Domingue). The precise genesis of the concept is unknown, but as one could imagine, its emergence is a long and painful story. The life of a Haitian slave was one of never-ending fear and suffering. Hunger, extreme overwork, and cruelty were everyday occurrences. Slaves did not eat enough to have children, and those few who were born usually died. The sheer labor intensity required to cultivate and produce sugar – one of the most profitable commodities in the 17th and 18th centuries – required literally working people to death. In the cold logic of plantation masters, the breeding of slaves was a waste of resources: it was better and more cost-effective to work them to death and just bring in more from Africa. Given the constant agony of slave life, many slaves sought solace in the idea of going back to their homeland, which they called lan guinée – literally “Guinea” or “West Africa”. It says a lot that in Haitian Creole, this phrase is now synonymous with heaven, since the only conceivable way out of slavery was death. Though African slaves feared death like anyone else, they also wished for it. Suicide was common, as it not only offered an escape, but served as the sole means of asserting freedom – to take back control over the body your master owned and exploited. It was also the only way the slave could defy their master, through deprivation of their labor, without punishment. This is where the zombie mythos emerges. In traditional Vodou belief, the zombie is a dead person who cannot go to lan guinée. Rather, the zombie is fated to remain mindless and without control – a slave for eternity. To get to the final resting place of Africa, you needed to be transported by Baron Samedi, a loa, or spirit, of the dead. Among his roles is to dig a person’s grave and welcome him to the other side. But if for some reason one has offended Baron, the god will not allow that person to reach guinea upon death, thus leaving them behind as a zombie (which in some variations can be controlled by someone else, such as a bokor, akin to a witch or sorcerer). Needless to say, becoming a zombie was a slave’s worst nightmare: it meant that the only path to liberation was gone, and you would continue to be enslaved. It is believed that Africans developed this concept to instill hope: keep being a good and pious person, and avoid offending Baron and other spirits, and soon you would be free. However, many slave drivers also exploited this fear, invoking it to keep slaves motivated and to discourage them from acting out or committing suicide. Though it originates in the folklore of Haitian Vodou (which itself is a descendent and variation of the original African religion of Vodou), contrary to popular belief, zombies are not part of any formal religious practice. Moreover, the idea of reanimating corpses or wandering souls is fairly common in mythologies and religions around the world. But the zombie concept that has become popularized in the West seems to stem mostly from Haitian and Louisianian Vodou (which in the former’s case was to the transmitted to the U.S. through our occupation of Haiti in the early 20th century). Some of the largest and most sophisticated fortresses in the Western Hemisphere can be found in Haiti, of which the most famous is Citadelle Laferrière. 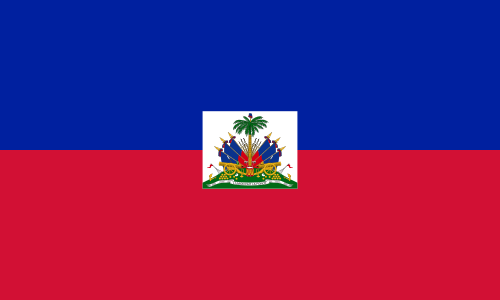 Located in the north of the country, this defense network was built not by the powerful French Empire that ruled this lucrative colony with an iron first, but by the newly freed Haitians themselves. This excellent hour-long video — part of a PBS series on race hosted by Professor Henry Louis Gates — explores the histories and societies of two small but culturally-outsized nations, particularly with regards to racial attitudes. Watch Haiti & the Dominican Republic: An Island Divided and see more of the series Black in Latin America. In the Dominican Republic, race has been socially constructed after centuries of intermarriage, and the country’s troubled history with Haiti has created unusual notions about racial classification. Gates also unravels the gripping story of the world’s first black republic, Haiti, and finds out how the slaves’s difficult fight for liberation became a mixed blessing that affects the nation to this day. The narrative of each nation has implications well beyond their borders, speaking to similar racial attitudes and dynamics in other parts of the world (especially in the United States, Brazil, and other Latin American countries). As the comment section shows, this remains a difficult and contentious topic for many people (though that’s not surprising, given that issues of race and class are usually polarizing and personal).